Fireman's Brew certainly has the feel good story. 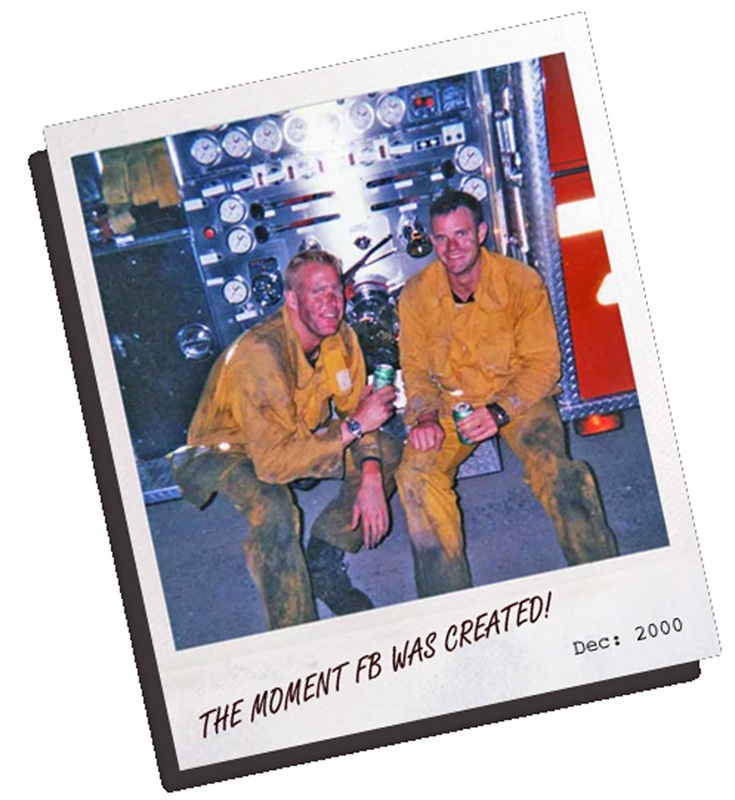 Back in 2000, two firemen stood exhausted on the Glendale Mountains in Southern California at midnight after putting out a brush fire looking into the night, wanting a cool beer to quench their thirst. 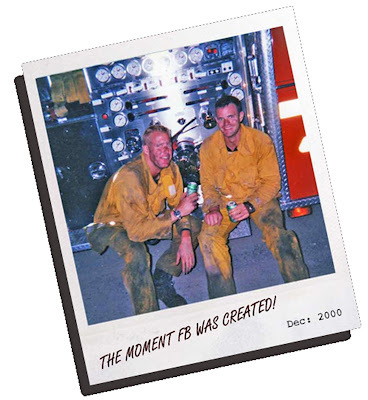 They go on to create Fireman's Brew, a self described "craft brewery" with a portion of their profits going to the Fallen Firefighters Foundation, which support families of firefighters lost in the line of duty. But look deeper and you'll find more corporate slant to the folksy tale. While the company is headquartered down in Los Angeles, the bottles read "Ukiah, CA" as the city where the beer was actually brewed. 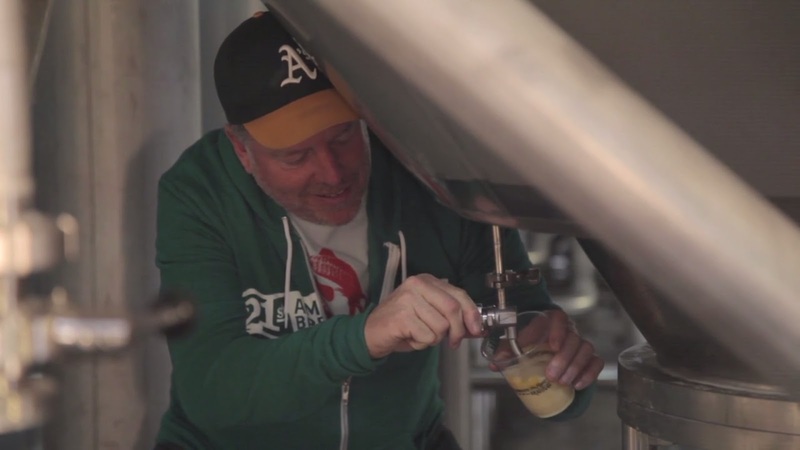 So it figures the beer is brewed under contract at Mendocino Brewing's facility. 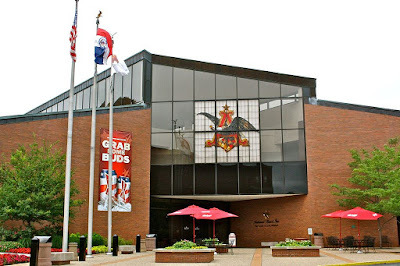 Two years ago Fireman's hired industry veteran Don Lake, who's had stints at corporate brewing giants Anheuser-Busch, Coors, Labatt USA, and to run their North American Sales Force. Fireman's recently announced a private offering of up to 4 million shares of Common Stock, along with the declaration on their website of an "aggressive growth plans...focused on building Firemans Brew into a National Brand". Apparently part of that "aggressive growth plan" is to provide beer samples to bloggers like me in hopes I'll write nice things about it. On that score, their investors should be happy as I'm here to say the beer of Firman's Brew tastes pretty good for the most part. The three bottle line-up of a Blonde (Pilsner), Redhead (Amber) and Brunette (Double Bock) is not wildly creative and nothing about any of these beers breaks new ground. None the less, Fireman's Brew has recently won awards with these beers and I can see why. I enjoyed the Pilsner Blonde with its clean, sturdy, and slightly caramelized malt with a nice little spicy finish. Nothing fancy here, just a good Pilsner which is a highly underrated thing. 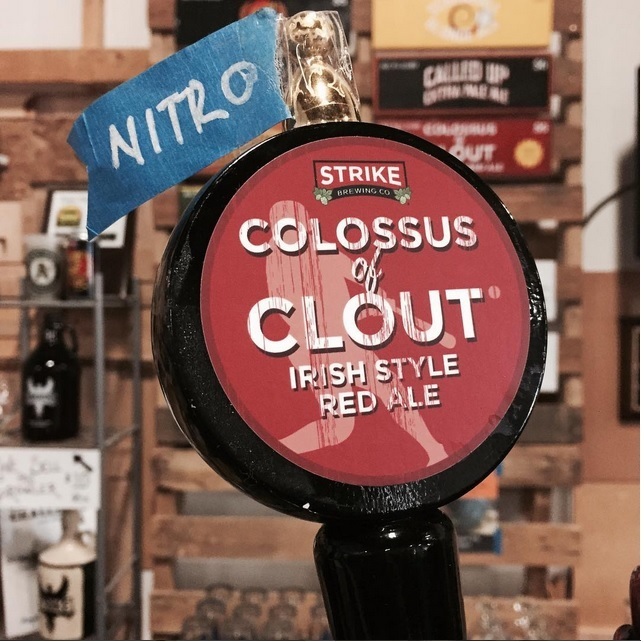 It won Gold at the 2014 Los Angeles International Beer Competition. Even better was the Redhead Amber, an unlikely malliard bomb with plenty of depth, running the roasty spectrum from light caramel to a barely noticeable ash. It's my favorite of the bunch and took Silver at the 2014 San Diego International Beer Festival. Least successful of the three was the Brunette Double Bock. It's got the malty and smooth thing down, but consisted of a bunch muddled roasty flavors without much depth and vibrance, resulting in a rather flabby beer. Someone must have liked it more than I did since it took Silver at the 2014 Los Angeles International Beer Competition. With brewing's continual renaissance, some interesting animals can be found within our country's zoo of breweries. Fireman's Brew is an interesting and often tasty animal. As the world grapples with environmental problems and climate change, one way to make a difference is switching from disposable cans and bottles to reusable packaging for beer. Other parts of the world already have reusable bottle programs including Europe and Mexico. Before World War II, most beer was sold within the United States in usable bottles. Could the United States initiate a reusable bottle program? Cheri Chastain, Sierra Nevada's Sustainability Manager looked into this question and the answers are not encouraging. "There's two big hurdles for this happening in the United States," she explains. "The first is about geography. There’s over 3,000 breweries scattered over a vast area, many of them distributing over several hundreds or thousands of miles. To collect all those bottles and ship them back to their respective brewery would take so many resources it wouldn’t make sense." Of course, if every brewery used the same bottle, this geographical issue could be overcome. According to Chastain, that's unlikely to happen since most breweries have propriety bottles. "Many breweries have a proprietary mold. Breweries like Red Stripe have a distinctive bottle that's proprietary. Sierra Nevada has a proprietary bottle. Other bottles have brewery logos etched or molded into the bottle. Considering how competitive the industry is, it's unlikely many breweries will agree to give up their proprietary bottles and move to a interchangeable one." It's looking pretty unlikely reusable bottles, once widespread in the United States, will make a comeback. Whenever a brewery trumpets the release of some beer packaged in cans, they almost always say something like "...and best of all, cans are better for the environment than bottles". For years, plenty of craft breweries claimed cans are better than bottles for the environment since they are lighter, requiring less energy to transport. The fact that cans are more recyclable than bottles is also cited as a reason why cans are more environmentally friendly. On the other hand, Tony Magee of Lagunitas has declared his brewery will be the last in the United States to sell beer in cans, citing environmental concerns of bauxite ore mining. So who's right? Seeking answers to what was becoming a complicated question, I turned to Cheri Chastain, Sierra Nevada's Sustainability Manager and asked her point blank: "Which is better for the environment, cans or bottles?" "I don't have an answer for that," she responded, laughing. Turns out, it depends how far back you look into the resources required from the time the package is created for until the time you open them to enjoy a cold one. "Bauxite ore mining is incredibly destructive on the environment. That said, aluminum is easier to recycle since it doesn’t break like bottles and weighs less, so it takes less energy for shipping, resulting in less fuel consumption and fewer greenhouse gas emissions. It's a really difficult question to answer." Various studies attempting the answer this question come to similar conclusions. Cans require about twice as much energy to manufacture than bottles. So beer must be shipped long distances, estimated to be at least a few hundred miles, before the energy savings due to aluminum's lighter weight offset the increased energy of production. New Belgium Brewing Company, which like Sierra Nevada devotes considerable resources to environmentally sustainable brewery practices, has an interesting report on the matter on their website also declares no winner in the cans vs. bottles debate. So what's an environmentally conscientious beer drinker to do? 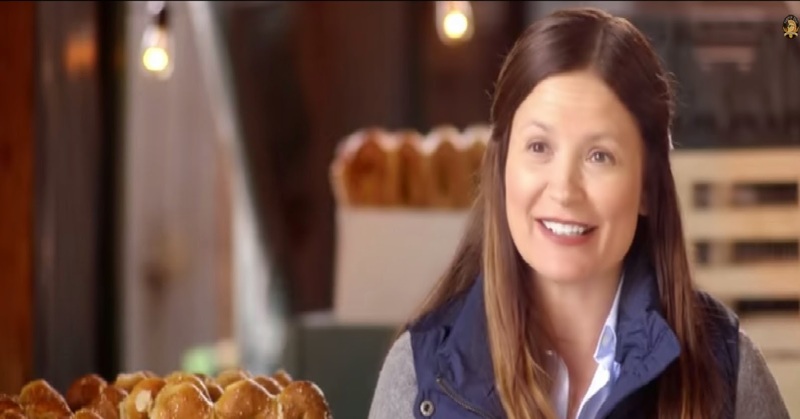 "Draft is the most sustainable option for beer," answers Chastain. Kegs are reusable and when used with a reusable glass or cup, the most environmentally sustainable option for beer. "I also encourage people to make sure to recycle whatever package they chose, whether bottles or cans," adds Chastain. Another reason to support your local brewery is that the shorter the beer is transported, the less impact on the environment. Thursday we'll consider the question about the possibility of a nation-wide program of reusable bottles. The Double Race series sounds like a neat idea. 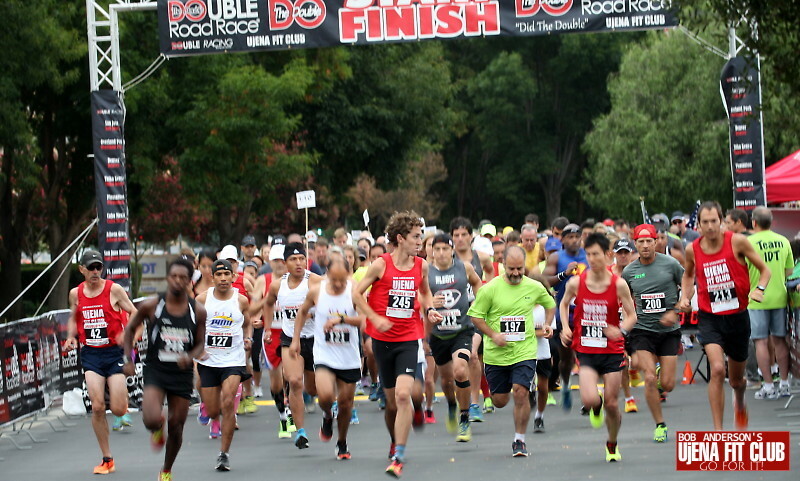 It's a series of races consisting of a 10k race and then a "half-time" before an 5k race, which starts an hour and forty-five minutes after the 10k start. This half-time sounds like a nice break, but it's basically a way to rest up so you can really punish your body over the last 5k in a way that can't be duplicated with a simple 15k. 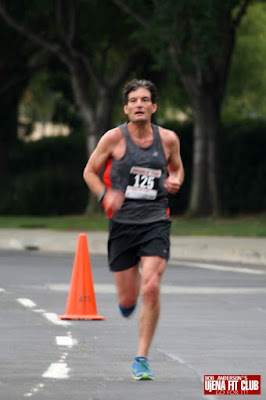 At least that was my take on things last Saturday in the San Jose Double Race held last Saturday. I've down this event before, in early 2014 when I was in a lot better shape than I am now. The first time around, I thought I held back a little too much over the initial 10k to rest up for the 5k, and cost some time pacing myself that way. This time around, I decided to push the 10k about as fast as I could go, rest up, and gut out the 5k. So in the 10k with the field spreading out quickly and running mostly by myself the whole way, I came through in 39:30 feeling pretty spent. Trudging off to the porta-potties after the 10k, a race official took one look at my weary face and cheered, "You're two-thirds of the way done!". As for my secret recovery plan to show up for the 5k fresh as a daisy, I didn't have one. Trying to do a little cool down in the parking lot fifteen minutes after crossing the finish line, I could barely lift my knees. After some stretching and working my legs over with a foam roller, I got to the point where could amble around the parking somewhat resembling a run. With twenty minutes to go, I figured I was just going to go on guts and hopefully the rush of the race would provide energy from somewhere. Sometimes in running when you have no idea where you'll find to the necessary strength, you simply need to have faith you'll find it in the moment. Besides, if I didn't feel so good at this point, probably everyone else felt the same way. The gun goes off for the 5k and I just go, breathing like a steam locomotive and just trying to hang on with with the pack ahead of me which is steadily leaving me behind. Any hope of finding a rhythm was quickly abandoned. Struggling up the hilly middle section of the 5k course, hearing the sound of heavy breathing behind me indicated I was in danger of losing a valuable place. Somehow, I found another gear on the downhill to pull away and just plowed my way to the finish with very little in the tank, crossing the line in 19:44. Not as fast as I was hoping for, but I ran hard. Every race is a learning experience. I learned the Double Race is really tiring. I also learned that while my fitness was lacking from where I wanted it to be, I felt pretty good about my effort. Forgive the cliche' but as long as you keep giving a consistently hard effort, good things eventually happen. 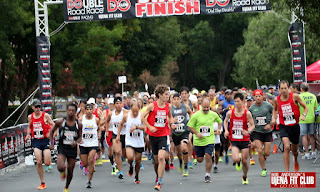 Next race up is the Folsom Blue Breakout Half-Marathon on October 18th. It's time to go to work to prepare for it, but looks like I'll be up to the task. 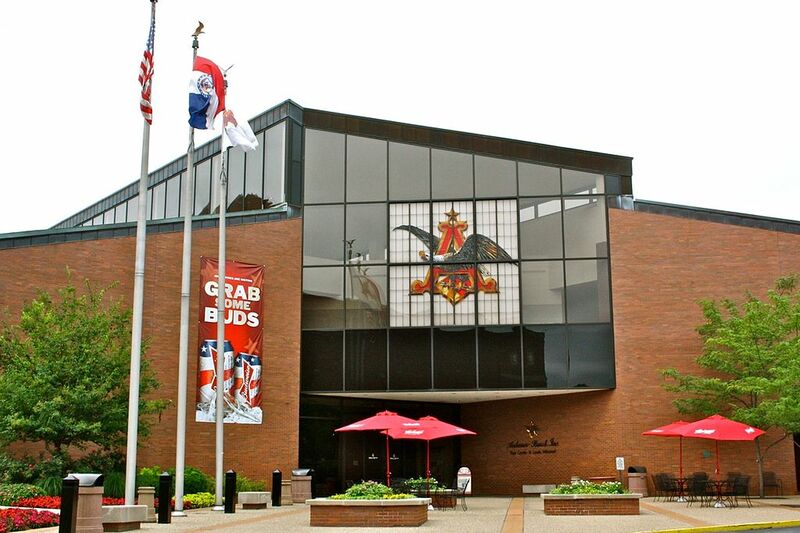 There's plenty of well placed speculation Anheuser-Busch (A-B) is actively seeking to acquire a California brewery, as they continue to invest in the fast growing "craft" beer market. If A-B acquires one of your favorite brewery, I think you should have no fear. Goose Island seems to be doing fine since A-B acquired them with no perceptible drop off in quality. While the jury is still out on the Blue Point, Elysian and 10 Barrel acquisitions, it's a reasonably good bet these acquisitions will have similar results as with Goose Island. In face, with A-B's considerable resources behind them, it's quite possible the beer from A-B acquired breweries will actually improve. Industry consolidation is a fact of life, so let's try to have a little fun with it. So without further ado, here are my fearless predictions of fifteen California breweries and their likelihood they get acquired by A-B. If A-B was eyeing Firestone-Walker as a takeover target, Duvel Moorgat beat them to it. Awfully hard to see this happening. Enormous clash of corporate cultures, Ken Grossman doesn't need the money, and given some of Grossman's business partnerships have gone south, hard to imagine he would willingly agree to take on A-B with so many obvious conflicts needing to be resolved. In addition to all that, Sierra Nevada would command a pretty high price tag well above what A-B may be willing to pay. It could happen. I just don't think it will happen. In recent tweet, Budweiser declared,"Nobody cheers for the guy who bring a watermelon wheat beer". Those reading tea leaves thought this was an ironic signal from A-B that an acquisition of 21st Amendment, known for their popular "Hell or High Watermelon Wheat", was imminent. No so, said 21st Amendment co-founder Shaun O"Sullivan, who quickly quashed that speculation, saying the brewery had no intentions of selling to A-B. Hard to see 21st Amendment back tracking on that, but then, stranger things have happened. Would be really complicated given Gordon Biersch's brewpub business and contract brewing operations. Plus Gordon Biersch focus on only traditional Germanic styles means they don't brew any of the currently hot beers like session IPA's and only would do so over Dan Gordon's dead body. With all due respect to Gordon Biersch, this isn't a brewery A-B would be all that eager to acquire. A reader on my Facebook page suggested Karl Strauss. An intriguing choice, but that more I think about it, a situation very similar to Gordon Biersch. A-B could accomplish plenty with Bear Republic's flagship Racer 5 IPA. Bear Republic expansion plans have been stifled by water resource issues in Sonoma Country so could thrive with A-B's vast brewing capacity available to them. Other than that, it's hard to see this family owned business selling to A-B. A strong, steady brand A-B would likely find desirable but Green Flash owners Mike and Lisa Hinkley don't strike me as ready or willing to sell. Owners John Martin and Roy Kirkorian have a good thing going in San Leandro and are well respected and ingrained in the California craft beer community. Its hard to see them making this seemingly idyllic life a lot more complicated by selling to A-B. A solid brand in the Bay Area but not as well known elsewhere, it probably isn't high on A-B list of acquisition targets either. This long time, old school craft brewery was acquired from its founder by Trey White in 2010, who might be willing to part with it for the right price. How interested A-B would in a steady, but not always spectacular brewery is another matter, as well as whether the Anderson Valley bucolic rural cultural vibe would mesh well with A-B's corporate culture. Forget about Stone CEO Greg Koch's usual bluster against fizzy lagers, the guy likes selling lots of beer and building a brewing empire. So if he thought selling A-B would be necessary further that, he'd have no problem jumping on board. Which is why I think it's likely he won't since Greg Koch is building an empire just fine on his own. Koch also strikes me as one of those guys who really likes being in charge which would no longer be the case if he sold to A-B. Tony Magee does a lot of weird, hard to believe things. Selling his business to A-B seems totally bizarre, even by his standards. Still, I wouldn't put it totally past him and you would have to think A-B would want to buy such a strong brand, even though it would be a pricey acquisition. There are many sides to Tony Magee and being a hyper-capitalist is clearly one of them, so Magee selling to A-B isn't that far-fetched. Now it starts getting interesting. The next three breweries stand out in my mind as far and away, the best acquisition candidates for A-B. This brewery isn't even three years old but with three million in funding, Saint Archer has been blowing through California with an aggressive distribution expansion. Coupling craft beer with extreme sports, you'd have to think A-B would be looking hard to acquire the fast growing business that would give it instant access to two hot trends. Former Sky Vodka executives Keith Greggor and Tony Foglio who bought Anchor Brewing from craft beer icon Fritz Maytag in 2010 are no strangers to large corporate beverage conglomerates and would seem to be more comfortable fit with A-B than the home brewers turned businessmen who run most other breweries. It also helps that Anchor's flagship beer is a cold fermented beer dating back to the late 1800's. Remind you of another classic American beer? Anchor is a solid brand with lots of mainstream appeal, yet plenty of craft beer cred. The combination of Anchor Brewing and A-B seems rather effortless. The more I think about Hangar 24, the more I think it's the most logical choice. Hangar 24 reminds me an awful lot like A-B's last acquisition, 10 Barrel Brewing, with its young ambitious management, a significant barrel-aging program, and a balanced line-up mix of accessible lawn mower type beers, hop monsters, and experimental brews. With a strong presence in both Southern and Northern California, A-B would kill those two birds with one stone. Hangar 24 has plenty of growth potential and would probably be cheaper to acquire than Anchor. Hangar 24 is my leading pick. So there you have it. It's worth noting that given the percentages, I figure there's a 73% chance A-B will acquire either Saint Archer, Anchor or Hangar 24. But even for the top pick Hangar 24, there's a 67% chance A-B will acquire a different brewery. So whatever the CA brewery A-B ultimately acquires is still pretty wide open. Let the rampant speculation and the arguing begin!